), Ron (Rat), Peter (Enviroman) and Rose (Swtrose), I'd like to thank you for the help and dedication you've shown in this group. You, my friends, are officially dubbed Blog*Stars. We have a nice little community of Bloggers here and I'm happy to see our membership continue to grow each day. This group is here for you, Bloggers, to get help and trade tips, and I believe we have a few individuals who go above and beyond the call of duty to help folks out. That's right, we've got a few Blog*Stars (the official term) amongst us, and each of them deserve recognition. Chuck (Nitecruzr), Ron (Rat), Peter (Enviroman) and Rose (Swtrose), I'd like to thank you for the help and dedication you've shown in this group. You, my friends, are officially dubbed Blog*Stars. Today we’ve reached another milestone in our transition to a better Blogger: all new accounts are being created on the new version of Blogger in beta. This hugely exciting for us, because now all new users will get the benefits of the new Blogger, the foremost among them being drag-and-drop template editing, post labels, and privacy controls. Getting started with Blogger is as easy as ever: create a Google Account (or sign in with your Google Account if you already have one), give your blog a name, and choose a template for it. Clarifying note: You can still create a new account on the old Blogger if you need to claim a mobile blog, join a team blog, or are using a language we haven’t added to the new version of Blogger. Update, 11/12: Mobile blogs are now being created on the new version of Blogger as well! w00t!
. Today we’re letting you switch your FTP-publishing blog from the current Blogger to the new Blogger in beta. If you’re eligible to switch your account (see restrictions), you’ll see a message on your Dashboard inviting you to do so. As with everything else on the new version of Blogger, we expect that FTP publishing will be more reliable than it is on current Blogger. Nevertheless, there many variables in external publishing that are out of our control, so we can’t guarantee that Blogger will publish flawlessly to every hosting provider. We can say that we’ve tested the new version’s FTP publishing with the four most popular hosting providers from current Blogger, and it works fine. In particular, we’ve worked with Your-Site to ensure that the recent publishing problems between current Blogger and their service are not present with the new version of Blogger. 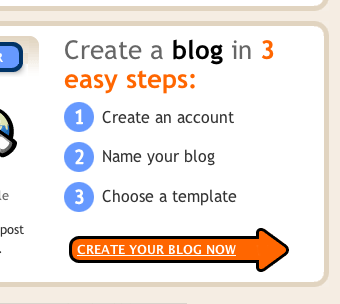 We do recommend that, before you switch, you create an account on the new version of Blogger by signing in with a Google Account at http://beta.blogger.com/. 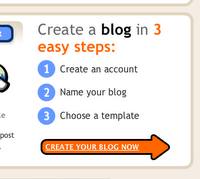 Try creating a test blog there and verifying that it can publish to your hosting provider. You can then switch your current Blogger blog to this Google Account. Or, just ask around on the Blogger Help Group to find out if other people have had success publishing to your particular hosting provider. If publishing to your hosting provider does not work — especially if it did work with the current Blogger — send a message to Blogger Support. We want to fix all FTP publishing problems that we are able to. Extra tip: ask your hosting provider if they support SFTP. If they do, you should use it instead of FTP. It’s more secure than FTP and we’ve found that it will often work when FTP does not. Last week we added FTP publishing to the new Blogger in beta. Today we’re letting you switch your FTP-publishing blog from the current Blogger to the new Blogger in beta. If you’re eligible to switch your account (see restrictions), you’ll see a message on your Dashboard inviting you to do so. (with more languages on the way), you can now publish blogs via S/FTP, a feature formerly available on the older version of Blogger. Beta's FTP functionality is significantly enhanced however -- it includes Label support! If you use FTP on the older version of Blogger, you should definitely log into the beta and set up a test FTP blog to make sure it can publish properly to your ftp server. We did a ton of FTP testing on several different popular hosting services, but if you experience any publishing weirdness, let us know via the Contact form -- use the "Report a bug or problem" -> "I found a bug with Blogger in beta" selection to send in reports, 'cause we wanna fix the bugs ASAP. Most importantly, the addition of FTP to the beta means that account migration will soon (like Really Really Soon) be available to all Blogger users -- it's currently just enabled for blogspot users. Thank you all for your patience with the recent outages and networking problems - they'll soon be a thing of the past! This morning's push marks a huge milestone for the version of Blogger in Beta - it's finally feature complete! Aside from its interface being available in French, Italian, German or Spanish (with more languages on the way), you can now publish blogs via S/FTP, a feature formerly available on the older version of Blogger. Beta's FTP functionality is significantly enhanced however -- it includes Label support!
. We are especially looking for people in New York City and San Francisco Bay Area, but others are welcome as well! P.S. Just to let you know, filling out the survey doesn't guarantee you'll be contacted. P.P.S. Thanks in advance. Studies like this are immensely helpful, letting us make Blogger as fun and useful as possible for all of you. We're currently looking for bloggers to participate in a user study to improve our product. You've given us feedback and we've listened, and now we're looking for more. If you're interested (and if you've been maintaining a blog for at least 3 months), just fill out this form. We are especially looking for people in New York City and San Francisco Bay Area, but others are welcome as well!